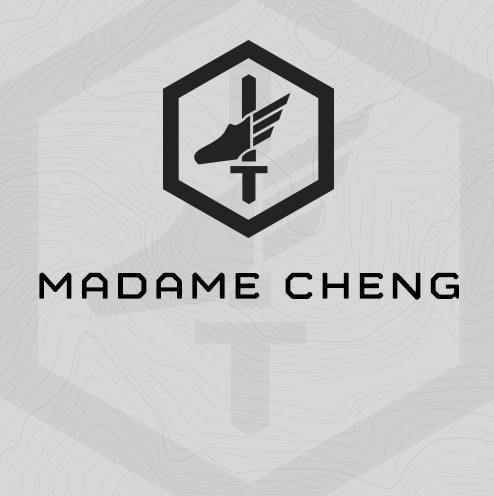 Madame Cheng is an intense, 6-Week, 5 day/week training cycle. This is fourth plan in the Pirates Packet of training plans designed as day-to-day programming for tactical athletes whose mission-set includes water-based activities such as SCUBA and water rescue. Madame Cheng trains water fitness in conjunction with the other land based fitness demands for the multi-mission tactical athlete. Brick Training – 1000m fin, 3 mile run assessment with increasing volume at moderate pace throughout the cycle. You will start with the fin, and move immediately to the run with as little transition time as possible. Rat 6 strength progression focusing on Hinge lift and heavy Thrusters. All progressions are based on multiple assessments with percentage based loading. 3-Mile Ruck Run assessment with 1-mile repeat intervals using the Rucking Calculator for your prescribed interval time. Gym based endurance is trained 2x/week – one long session and one moderate session. These are a grind. Work through them, don’t sprint. 1 Round = Part A and Part B. Complete Part A’s 10 Minute Grind, then move immediately to Part B. That completes 1 Round. Finish 3 Rounds (Part A and Part B) for 60 Minute of total work. These efforts are for grind. If you reach panic breath - slow down! Your breathing rate should resemble a moderate paced run.